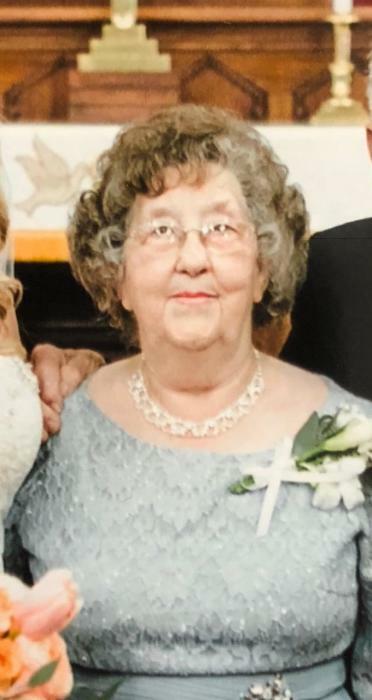 Betty H. Noel, 78, Crofton, died at 10:45 a.m. Thursday, Nov. 29, 2018, at Jennie Stuart Medial Center of natural causes. Services will be at 2 p.m. Monday at Northwest Baptist Church with R.J. McGowan officiating. Visitation will be from noon until the service time Monday at the church. Lamb Funeral Home is in charge of arrangements. A native of Todd County, she was born May 6, 1940, the daughter of the late Webb and Maria Ferguson Hill. She was a member of Northwest Baptist Church and was a homemaker and babysitter. In addition to her parents, she was preceded in death by her first husband, Charles R. Cowan. Survivors include her husband, John Noel Jr., Crofton; her daughter, Rita (Jim) Monroe, Hopkinsville; her son, Charles (Nancy) A. Cowan, Greenville; her stepdaughters, Brenda (Gerald) Cameron and Belinda (Robert) McCain, both of Hopkinsville; her stepsons, Gary Cowan and Alan Noel, both of Hopkinsville, Johnny (Connie) Noel and Billy (Brenda) Noel, both of Fairview; seven grandchildren; 15 great-grandchildren; 11 step-grandchildren; 22 step-great-grandchildren and 2 step-great-great grandchildren. Memorial donations are suggested to Redeemed and Restored, P.O. Box 486, Hopkinsville, or the giver’s favorite charity.